The bandoneon was developed by Heinrich Band in Germany in 1847. The bandoneon was created under the influence of a concertina, which is a type of accordions invented in 1820s. 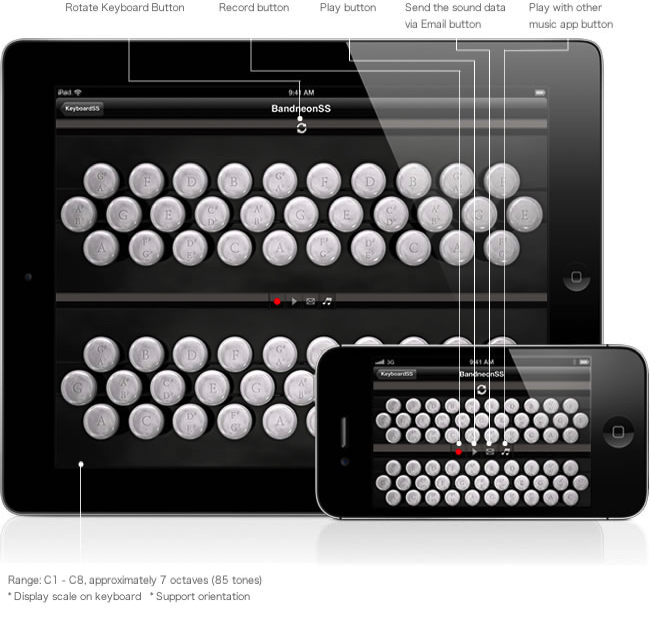 "BandneonSS" has the C system chromatic button accordion layout, and is a bi-sonic bandoneon that plays different notes with one button. Compared with the traditional uni-sonic type which plays the same note for each button, the bi-sonic type has much better operability.